If you love indulging your sight with the most beautiful timepieces to ever be designed then you are surely in the right place. From the first moment, ReplicaWatches.pk impresses with the most elegant and beautiful banners featuring exquisite designer watches. It is a real paradise for those who love watch keeping masterpieces. Once I saw the five large sliding banners I was completely mesmerized. These manage to picture the essence of our passion for watches. Each model presented is perfect- both elegant and stylish. Just like this entire online store. The website is designed with professionalism and refinement and it manages to be very appealing. 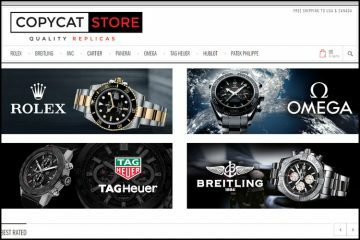 On top of the page there is a very simple menu including: Men’s Watches, Men’s Accessories, Ladies Watches, Ladies Accessories and Special Offers. Each category has a drop down list that shows all the available brands. 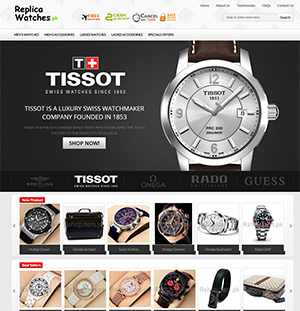 The website truly sells numerous watch brands, some of the most popular ones in the world, from Tissot, Movado and Rado to Rolex, Omega and Vacheron Constatin. I like the fact that products can be filtered by price, color, bracelet type, movement and warranty. This is very useful for those that already know what they want. You just select the specifications of the watch you want and hit “Enter”. Next you simply select the one you like the most. 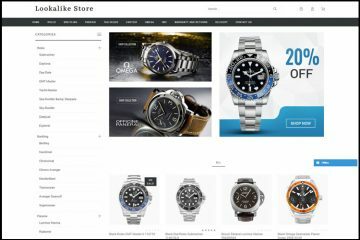 Also, the product description page is very well constructed and it presents all the important technical information regarding these replica watches. All the prices are listed in RS (Pakistani Rupee). I know that this might seem very confusing for many of us, but once we cross the initial surprise of discovering that the prices are in a currency that isn’t that familiar to us and we use a currency converter we see a very nice aspect of this issue: the prices are very low. Most replica watches cost less than $100 USD. This is a pretty good deal! Also, from what it seems the store sells only Japanese replicas. No Swiss knockoffs are available. Each replica watch has about three very god quality product pictures that show the knockoff from every possible angle. These images are very good and manage to offer a very nice preview of the quality we will be getting if we order from this online store. The very interesting thing is that the only form of payment available on ReplicaWatches.pk is Cash On Delivery. You pay for the product only once you get it. I for one prefer card payment because this is actually the only protected payment method. Cash on delivery isn’t actually that good as everyone says because you pay when you get the package, but before you actually open and see the watch. After you open the package there is nothing you can do to get your money back unless contacting the company and taking advantage of their return policy, if it has any. The store can ship packages worldwide and the delivery is completely free. The orders are shipped with express mail and the estimated delivery time is about 5 business days. Furthermore, the packages have a tracking number available. 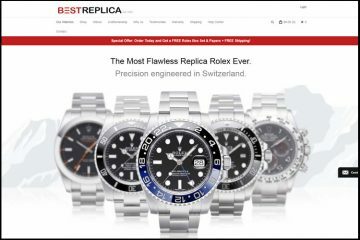 All these mean that ReplicaWatches.pk has a pretty good shipping policy. The website claims to offer a 3 days replacement and return policy so if you have received inferior products do not waste time. Contact the company at once and request the return details so you can ship it back for a refund or a replacement. ReplicaWatches.pk provides customer support by phone number, email and chat. As you already know, a company that offers decent and responsive customer service is a very reliable company that deserves our trust so just contact their representative before placing an order and see if the store manages to clear up all your inquiries. What can I say about ReplicaWatch.pk? 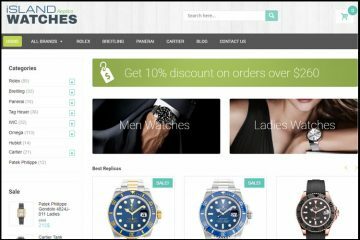 It is certainly an online store that knows how to sell its replica watches with style. It offers low prices, speedy delivery, Cash On Delivery, a return policy and responsive customer service.